Good Evening and Happy Valentines to you all. I hope you are all able to be spending your evening with your loved ones. I am sorry I haven't been posting for a few days. I have been spending some much needed time with my family while. We have all been supporting each other through a difficult time in our life. I am expecting this to be the case for some time yet so please bear with me, I am hoping that usually blogging will resume soon. 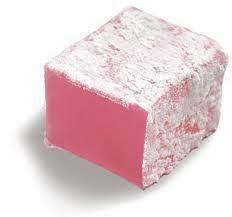 * I love Rose flavoured Turkish Delights. Either coated in Chocolate or without, I'm not fussy. Me and James went to Turkey a couple of years back, there was a Turkish delight shop with every flavour imaginable, of course I had to try them all, it was amazing, but Rose is still my favourite flavour. * ﻿I used to work in a Travel Agents. 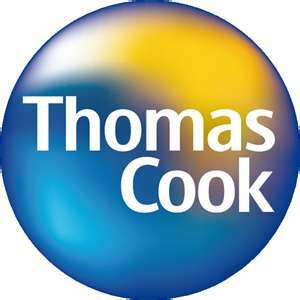 For 4 years I worked for Thomas Cook. Although getting discounts on my holidays was amazing, it just wasn't the job for me. 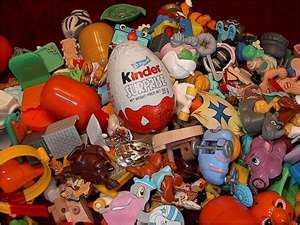 * I too like Lissy Lou love Kinder chocolate. Although I don't like the kinder bueno's. But I love either Kinder Eggs or Kinder chocolate bars yum. 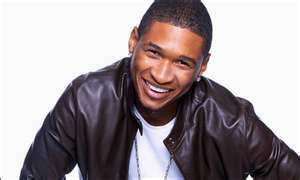 * I am off to see usher again, yes again. The same show as last week, I'm going on Friday. I have managed to get seats 3 rows from the front. You can imagine how excited I am : ) I physically cannot wait. * I hate chicken. I know this is a bit of a bizarre thing to put but it is a fact about me and everyone seems to be so amazed by it when they find out. I don't know why I don't like it. It is something I have never liked and have tried it on many occasions, as it has to be the worst type of meat not to like, it is practically in everything so I have even tried willing myself to like it but . Maybe one day, but just not today! *I would love to one day be able to say that I have travelled the world. I doubt this will ever happen, but a girl has to have dreams, right? I actually didn't realise how hard it is to think of 7 facts about myself, which is pretty ironic really considering that this blog is about me. I suppose the hard part was trying to think about things that I haven't yet shared with you all. OK so that is my chosen 15, a tough decision. Now I just have to contact them all to let them know they have won an award. My apologies if you read this before getting your message, I am slowly getting around to it : ). Hope you all enjoy the rest of your evening. i always have a hard time thinking of facts to share about myself without feeling like a big dork : ) so i know just what you mean! i do love reading more about others though, always interesting...thanks for sharing! have fun at Usher! Hope you've had a fab valentines! 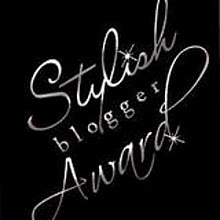 Thank you for the award, must try to blog it this week or I will forget!! Thank you for the award and I hope you have lots of fun at the Usher concert. You 'hate' chicken? Do you like chickens (the live sort)? Hi Gem, many thanks for my award, that's really very kind of you! I will try to post soon, not sure I have any facts left to give, but I shall try!!!!! I love reading all the interesting facts about bloggers but yes it is very difficult to think of some. I love Turkish delight too esp the rose ones. Have fun at the concert! He's soooo lovely. Now I don't actually do awards anymore due to time issues but thank you so very much anyway and it's been lovely to meet you. I have been awarded many of these type of challenges so perhaps I should just do the facts bit and pass on the rest. Sorry to hear your grandad is unwell :-( My nan & grandad are getting on now & I had a big scare with my nan recently, fortunately she is still with us for now, a change in medication has helped her out, but both are in their 80's so trying to cherish every moment we have now! I've been super busy this past week and haven't had any time for blogging!